Table Top Gaming is currently coming into its own and with events like International Table Top Day, it will only get stronger. A bunch of good friends, getting together, having a few drinks, enjoying each other’s company and generally just having a good time… well, that is, unless they play these games. Table Top Gaming is competitive in all its forms but when its core mechanics base themselves on deceit and betrayal, prepare yourselves for relationship / family counseling after because it never ends well. 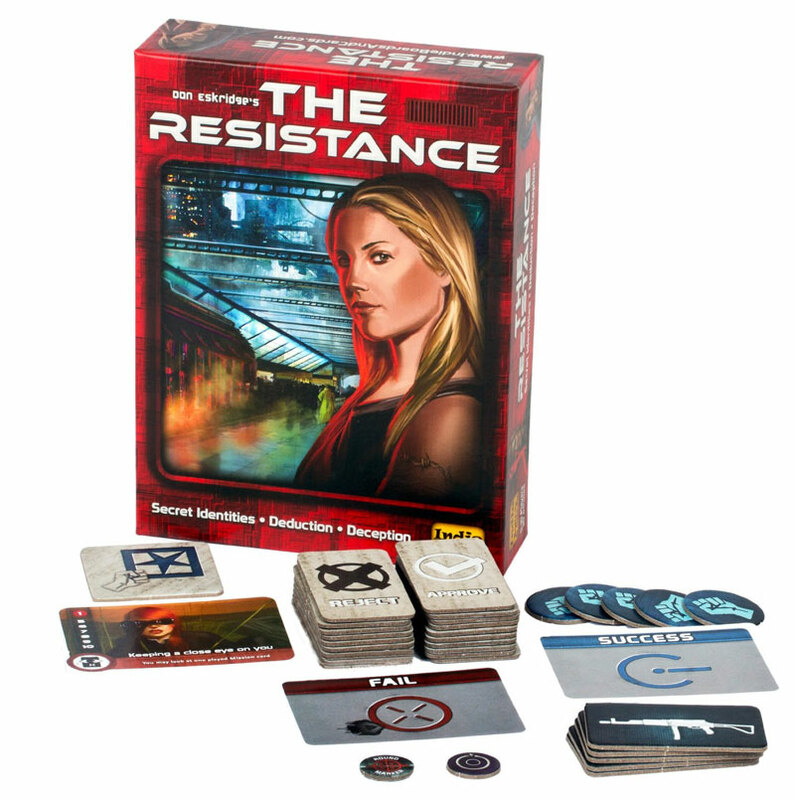 Resistance is a card game where players work together to figure out which one amongst them is a government spy. Each round the leader of the mission chooses a group to go and the rest of the players have to figure out if any of them are spies or not and vote if the mission will succeed. It’s a simple game, in theory, but due to its subversive nature it can result in family feuds, relationship break ups and generally a dirty feeling you can’t wash off. 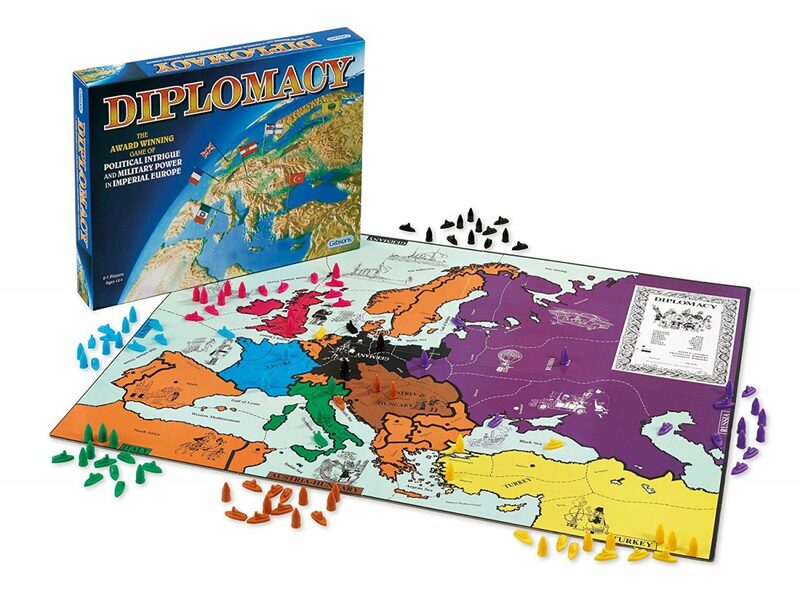 An old game, akin to Risk, but instead of simply moving your units and talking to each other over the table, you write orders secretly and build alliances in back room deals; away from prying eyes. You can either stick loyal to your alliance, or, as is the case generally, stab your family member, and or better half, in the back and take their recently vacated and undefended lands for yourself. Machiavelli would be proud.. shame no one will talk to you for the next month; a small price to pay for VICTORY! Secrect powers. Switching roles. Wild accusations on half baked assumptions. A recipe for family bliss right? In ONUW, each player is given a role in secret, each with some a special power. During play, all players are ‘asleep’ with their eyes closed, then at certain points each role is asked to ‘wake up’ and perform a task. This can be simple like looking at someone else’s role, or more complex like copying the ability of another player. After all roles have been called, all the players open their eyes. 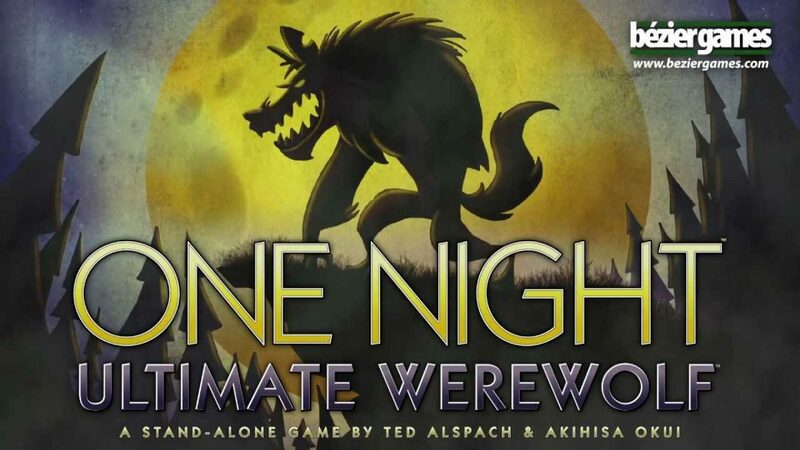 What ensues is a discussion (read: accusations and flat out yelling) to try and determine which players are the werewolves. After the dust settles and mom puts the knife away, the players take a vote on who they think should be ‘killed’. If a werewolf is picked, the villagers win, but if a villager is picked the werewolves take the win. Every game I’ve played has started with trepidation as new players figure out what is going on whilst the experienced amongst them start flinging blame like monkey poop. Whilst this is mostly done in good fun, occasionally players can get so riled up the shouting can get a little heated. Luckily the game has a timer, and rounds are very short, so no one feels victimised….well, not for long. 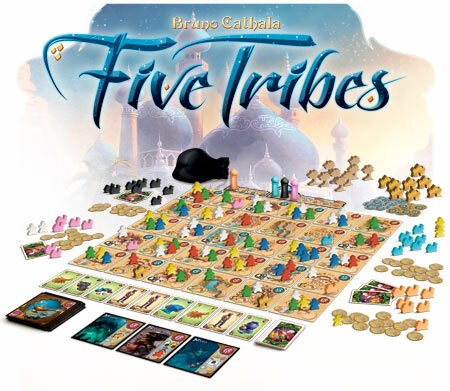 This cracking game is a mancala variant where players are moving different coloured groups of meeples around a set of Arabian desert tiles in a bid to assassinate other meeples, build houses, breed camels or summon powerful djinns. It’s simple gameplay hides a deep and tactical game with plenty of different strategies to follow and ways to score points. 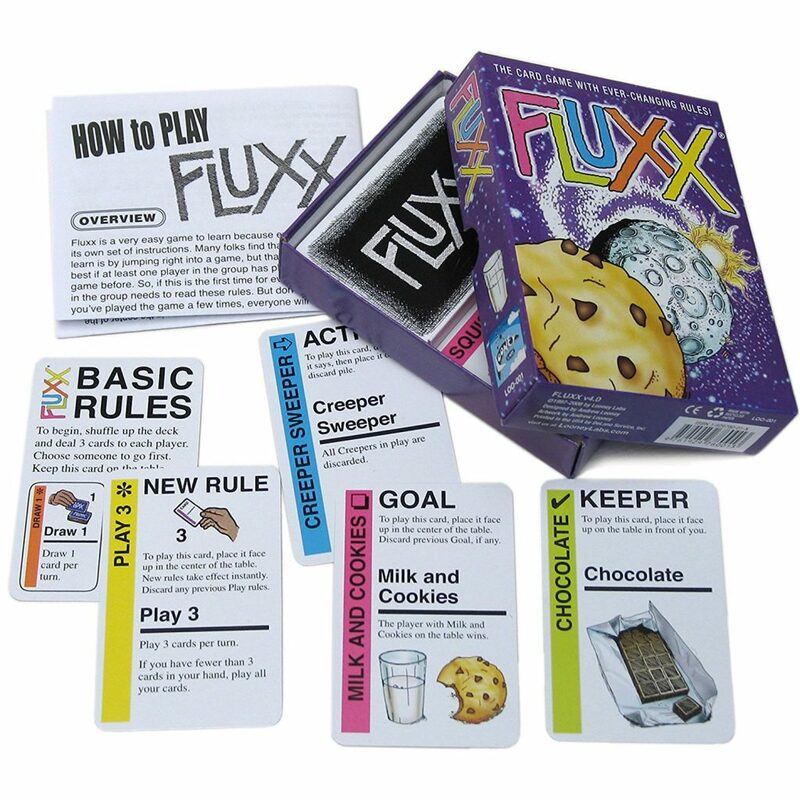 OK, OK, I’m probably going to get some flack for this, but I have to say it; I don’t like Fluxx. The game is a clever premise: start with some simple rules (draw one, play one), with players trying to get the items (Keepers) they need to complete an objective (Goal). All the while the rules are constantly changing; suddenly you draw three and play two, now you need to discard your hand at the end of the turn, oh and now you need to play EVERYTHING in your hand. What sounds like a recipe for all-out hilarity and fun quickly devolves into ‘so the goal has changed AGAIN and I have no say on how many cards I play this turn? Fab…’ The complete randomness of the gameplay just kills any element of enjoyment a family may get from this. Couple this with the utter crapfest of trying to get the Keepers you need to have victory just taken by the person who happened to luck into the perfect hand after the second hour of gameplay (seriously, both of these things can happen) and what you’re left with is a hollow shell-shocked gaze as you thank whatever deity you wish that it’s over. Fluxx is fine if your family and friends prefer lighter games or more into the experience than game play (not that there is anything at all wrong with this), but I just know if I tried to pull this out with my family and friends, I’d be better off just grabbing my coat and getting on the bus home. Any other games that should be added to the list? then put a comment below and let us know!